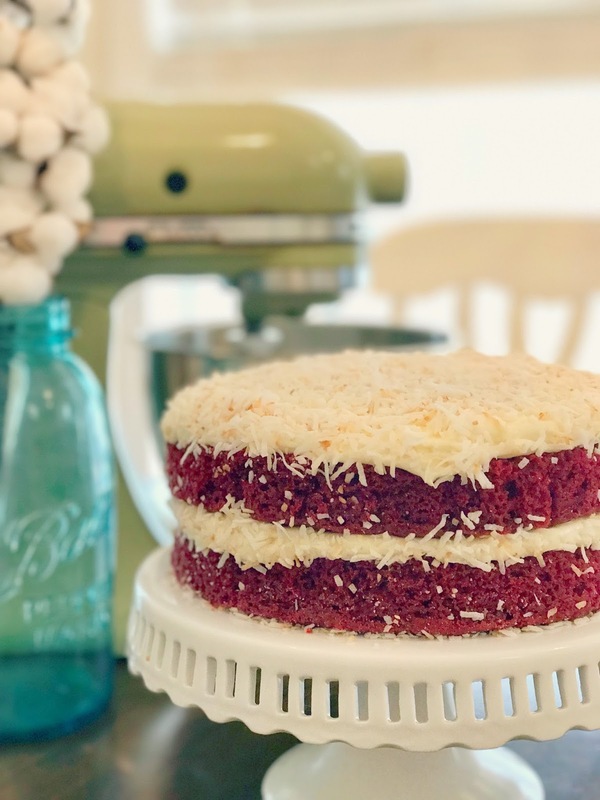 One of the things I love about baking is that it gives me the chance to use my late Grandma Helen's avocado green Kitchen Aid mixer, as seen in the photos. I believe she purchased this mixer back in the 60's or 70's and it has not slowed down a bit. I love thinking about her soft, aged hands dusted with flour touching the mixer right where I have placed my hands. 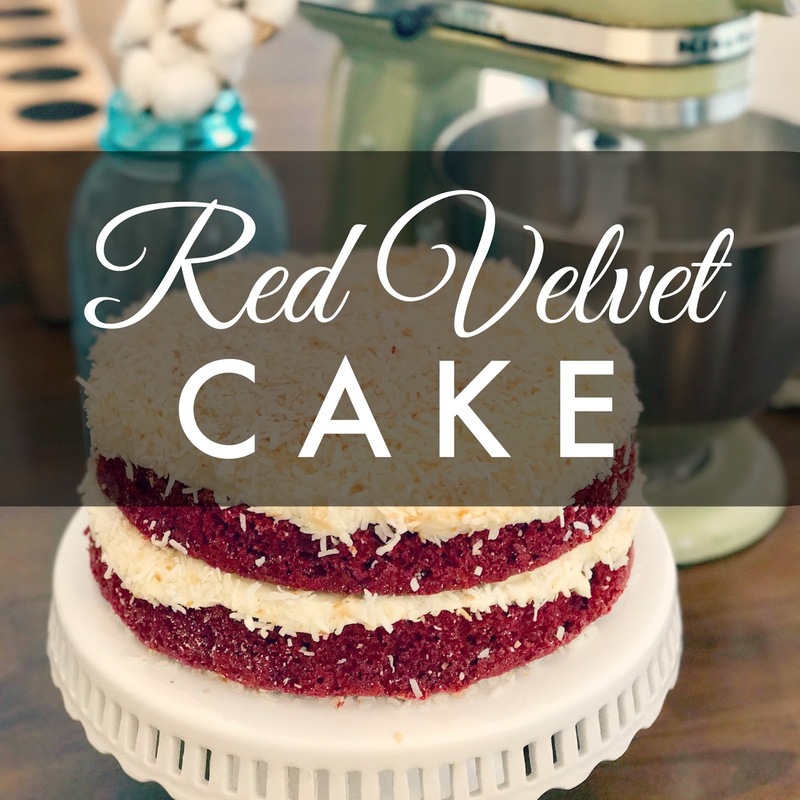 No matter what I bake, I think of her...and baking this Red Velvet Cake brought me the feels all over again as it was the first time I have used it since I gave birth to Vivian, whom she would have loved. Working in batches, put mixer on medium low speed and begin to slowly add dry mix to the wet mix. Gently lift cakes out of the pan by lifting the edges of the aluminum foil and place on wire racks to cool. 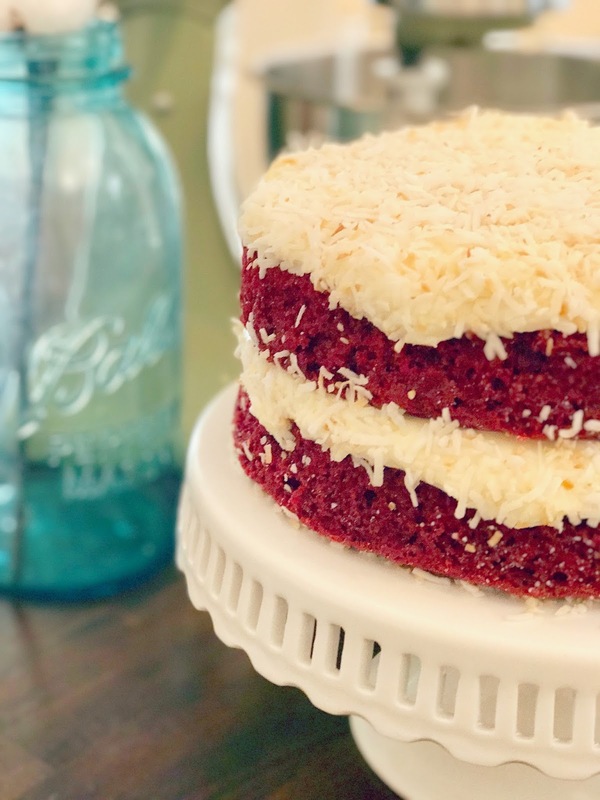 Once completely cool, place one cake on cake stand or platter and spread half of the cream cheese icing evenly across the top. Place second cake on top and spread remaining icing evenly across the top. 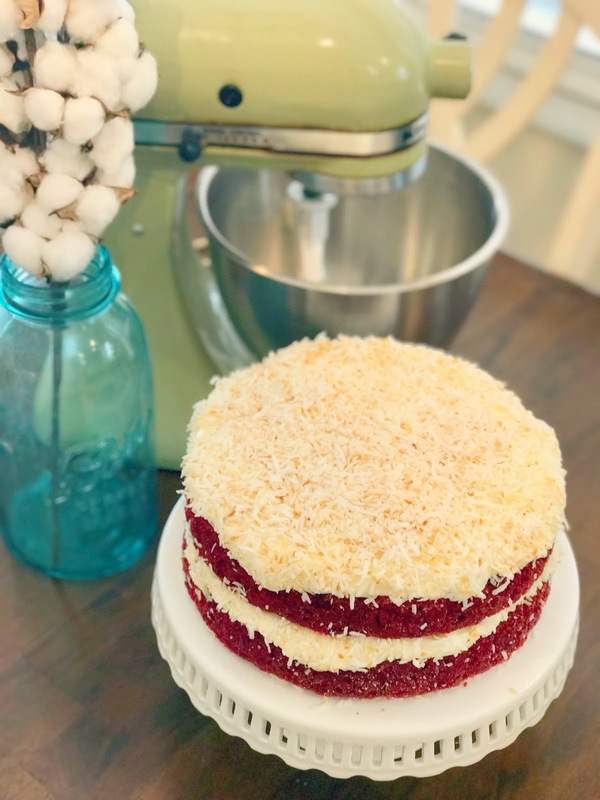 Top with toasted coconut shreds and press some of the coconut shreds on the sides where the icing peeks out. Store in fridge, covered, until ready to serve. 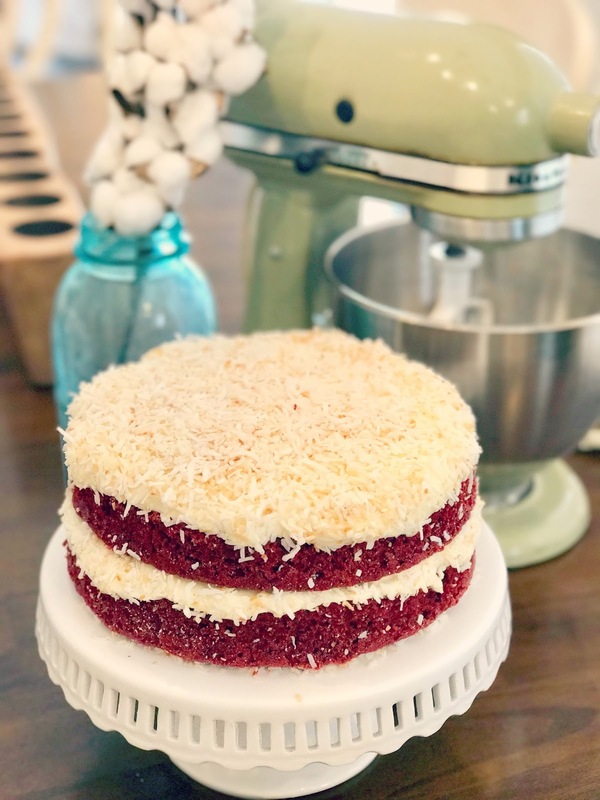 I like to let the cake sit out on the counter for 30 minutes or so before serving. This is such a delicious cake, yall. It is a real show stopper and a sure fire way to earn your Southern Living seal of approval!